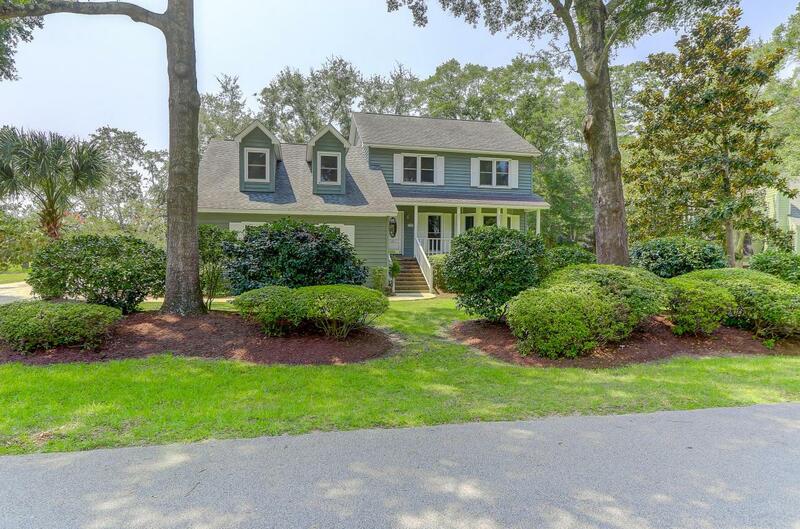 This charming Lowcountry home at 40 Anderson Avenue is located in the Creek Point neighborhood on James Island. 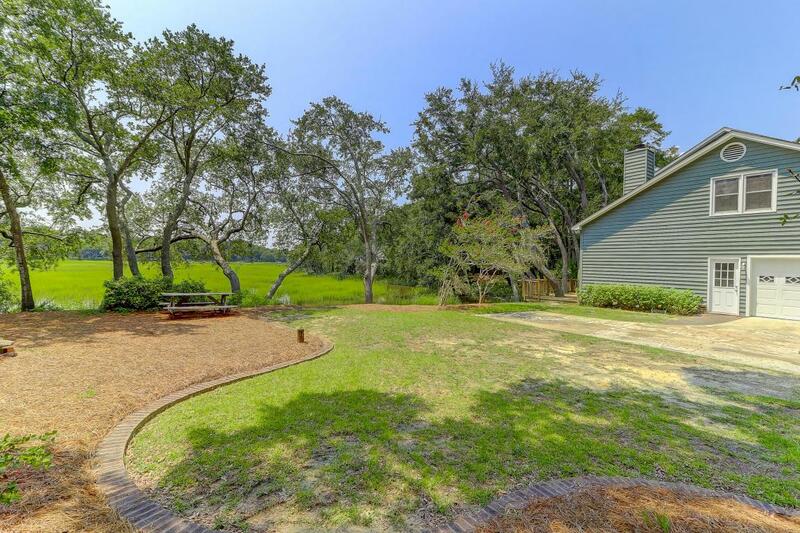 It sits on a nicely landscaped lot with mature trees and shrubs in the front yard. 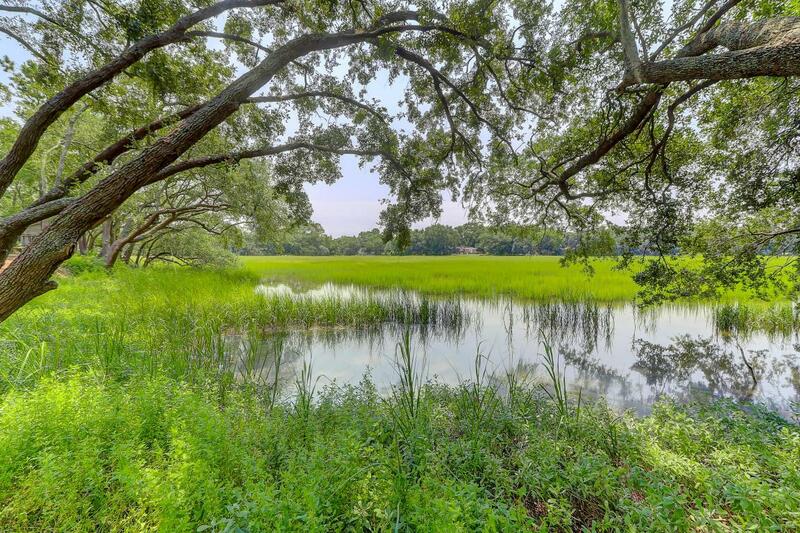 The backyard abuts the marsh with beautiful views of the marsh grass and water for as far as the eye can see. 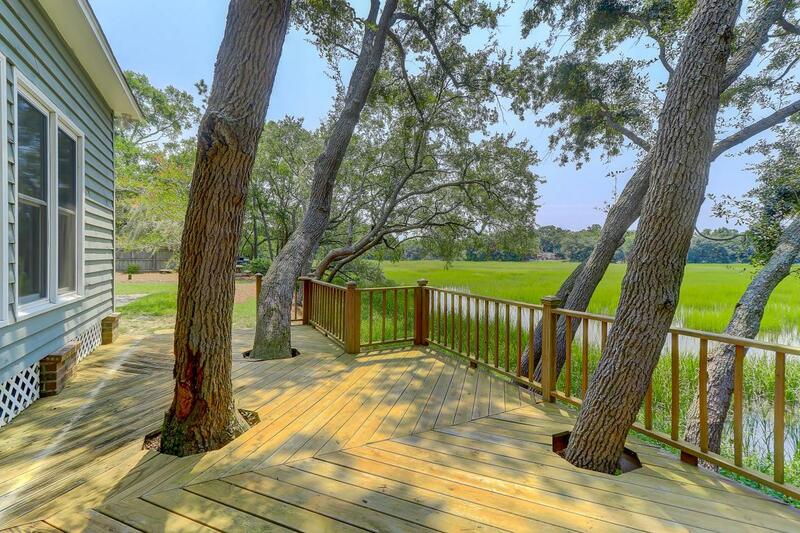 A large deck extends from the home, offering an ideal place to enjoy the peaceful views, and there is also a sizable grassy area along the side of the property. The home has a traditional floor plan with an entry foyer, formal dining room, eat-in kitchen and family room on the first floor. 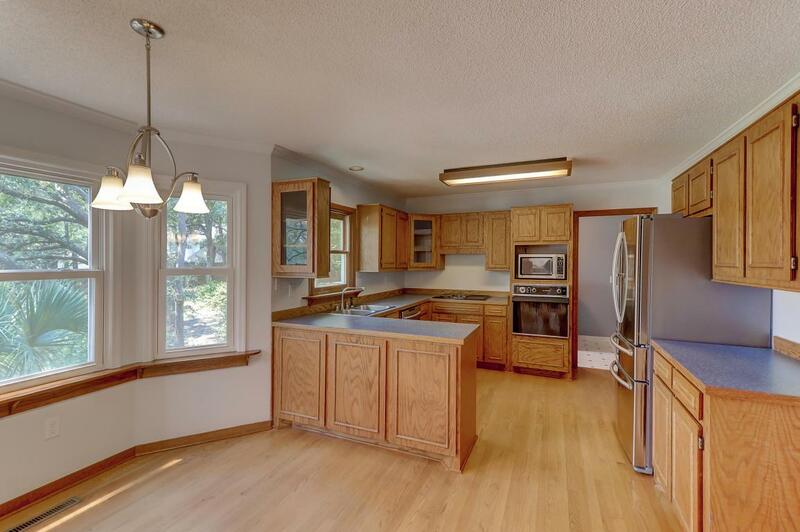 Hardwood floors are found throughout most of the home and there are many bright windows overlooking the marsh. 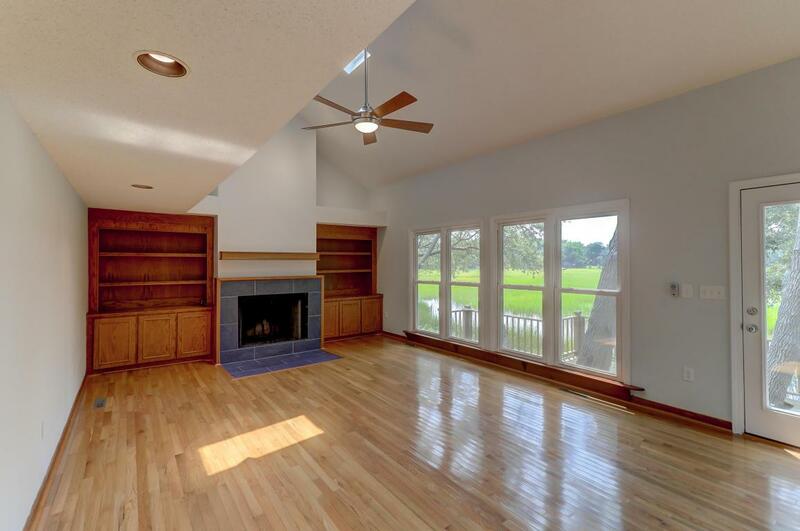 The family room is the largest room in the home and provides a great space to entertain with tall ceilings, skylights, a fireplace and built-in bookshelves. There is a glass door opening to the back deck so you can easily enjoy the outdoor living spaces as well. All of the home’s bedrooms are located on the second floor. The bright master features a bay window, along with an en suite bath with double sinks and a tub/shower looking out over the marsh. There are two additional bedrooms, an updated full bath and a large space which could be used as a media room, playroom or fourth bedroom. Another highlight of the home is its central James Island location. Local restaurants and major services are located nearby, along with the popular James Island County Park. Folly Beach is just a short drive, as is downtown Charleston, making it easy to explore many parts of the city! For more information on this listing or to setup a showing, please contact listing agent Charlie Inglefield.